Exchange your wedding vows as the sun sets behind the misty mountains of Kandy. Have your first dance as a newly wed couple beneath the divine clouds. 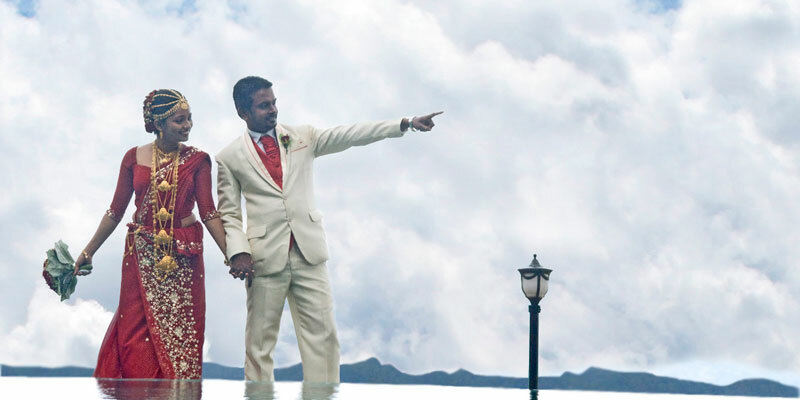 Feel the aura of mother nature as you step in matrimony under the vast blue sky. Randholee Luxury Resort offers an elegant setting for a royal wedding experience. Our wedding specialists at Randholee Luxury Resort have vast experience in organizing, planning and arranging weddings. Our staff will ensure that your wedding is handled with precise detail and care. All aspects, including legal procedures, will be taken care of prior to the wedding day to guarantee that everything runs smoothly for a hassle-free event. A wedding at Randholee Luxury Resort will definitely be a memorable and treasured event. "It’s your special day so tell us what you want and how you want it. Leave the rest to us." Wedding experts at Randholee have the right to organize the wedding ceremony at the location they find most suitable on hotel premises.